It has been a long, exhausting week. I haven’t been feeling good and my energy is at an all time low. Trying to maintain my “I’m well, thanks” exterior has proved difficult, therefore I’m taking advantage of the long Noirevmber nights. 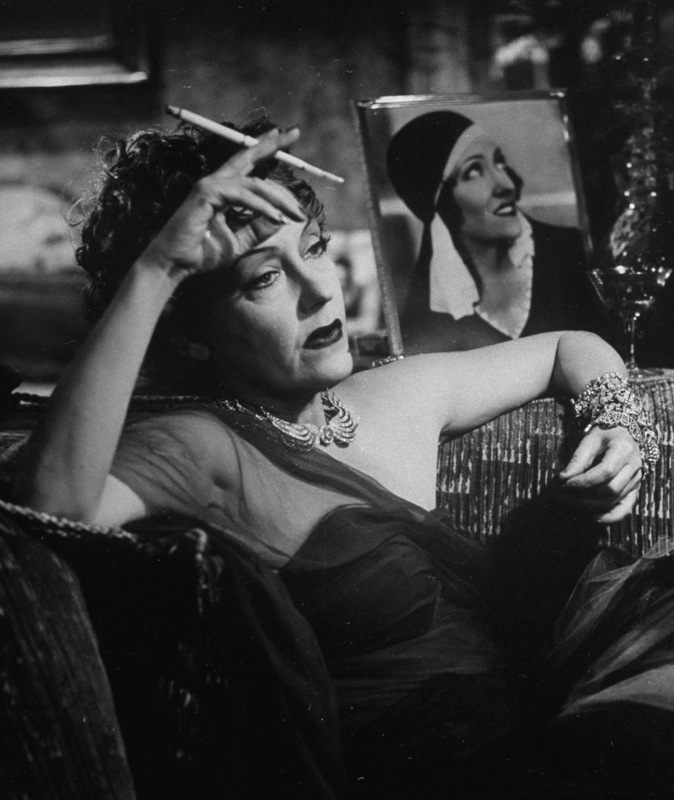 Here I am, slumped in a chair, drink in hand, surrounded by the spirit of Norma Desmond. This entry was posted in Uncategorized and tagged Filmstruck, Noirvember, Norma Desmond, TCM, Turner Classic Movies by Sabina Stent. Bookmark the permalink.